Grand Riserva Ritual Face & Body Ceremony is a sensory experience that relaxes and harmonizes the mind and body. Starts with a dip in a milky foam, followed by a satin peeling and a warm grape mousse packing. The milk powder for the bath is an innovation in luxury bathing. The ultra fine powder, flavored sensuous which instantly disperses in water and create an emulsion of milk. Water becomes opaque and forms a soft foam while it releases the active ingredients to nourish and hydrate the skin. The red grape scrub is an exceptional natural scrub. It has a light, fluid texture and effectively achieved through a combination of grapes peeling particles and marine salts. It has a nourishing and skin protecting result, thanks to grape seed oil which moisturizes skin perfectly, while red grapes prevent the aging process. Self heating packing mask with grape extracts and seaweed has detoxifying and anti-aging properties face and body gives a pleasant feeling. The thermal effect increases the bioavailability of the mask main ingredients: Polyphenols from grapes and seaweed. This heat activates blood circulation and facilitates perspiration, so this treatment aims to detoxify cells, improve circulation and combat cellulite. 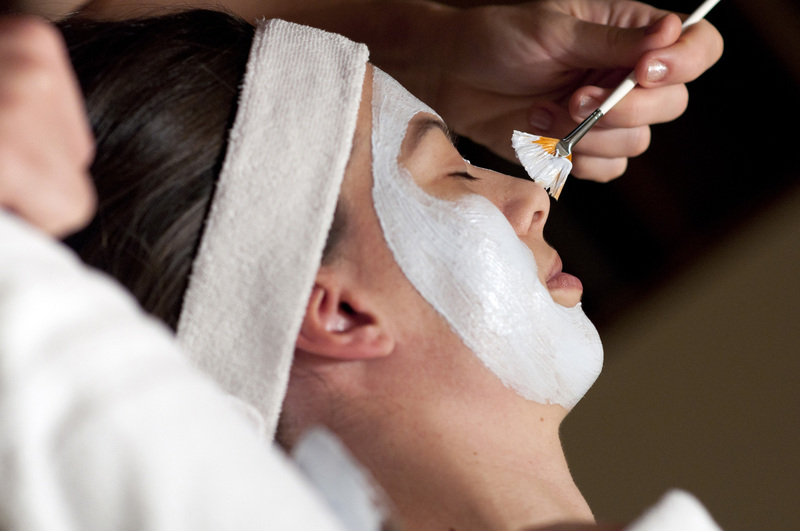 During body packing the face is pampered with a cleansing and moisturizing delicate treatment. Care range contains polyphenols from grapes with anti-aging properties, trace elements, vitamins and moisturizing agents. The product range Kianty debris, protects the skin against free radicals by using antioxidants, promotes skin cell regeneration and provides brightness. It is applied with a facial mask containing diatomite, polyphenols, alginates, ingredients which have the effect of lifting the skin, leaving the skin with fine lines covered and with bright, uniform tone. During the plasticizer wine mask is applied is made with coconut oil scalp massage. It stimulates capillary circulation, moisturize dry hair, is a good remedy for dandruff, gives shine, prevents splitting of hair ends and hair loss. Then there’s a whole body relaxing massage with grape seed oil, and finally the body perfume with one of Caudalie waters.